November 2004 - Rebecca Martin doesn’t worry too much about fitting into any single category. She’s too busy making music, whether it’s a fresh take on old standards or writing her own original, intimate tunes. The singer-songwriter is showing that she can do both with equal grace and skill. The Maine native proved to be an innovative interpreter of jazz standards with her acclaimed 2002 release, “Middlehope.” That recording drew the attention of Richard McDonnell, the founder of MAXJAZZ. He went to New York City to see Martin perform, expecting to hear a set of standards, but instead he found her singing her own songs. Martin was soon offered a deal with MAXJAZZ, making her the label’s first singer-songwriter. The result is “People Behave Like Ballads,” a collection of 16 original compositions. The new album defies musical labels, melding the boundaries of jazz and folk. The songs are seamlessly tied together by Martin’s strong, soprano voice. It is one of the year’s best CDs. 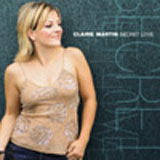 Martin talks to JazzReview.com about the new CD and why music should be a public service. JazzReview.com: When you started making “People Behave Like Ballads,” what were your goals? Rebecca Martin: “My goal in general was to document where the band was at that time. The songs I had waited a lot of years to record because I wanted to try to collaborate with the right label. By the time I got to recording, there were so many songs that songwise, it was a very hard record to make. Initially, it was going to be 11 or 12 songs. I had 40. I ended up choosing 16. I’m not quite sure what it was about these particular 16 tunes. It just felt like a balanced collection of songs. Ultimately, what I wanted to do was capture the band as we all were, which I’m very proud of. JazzReview.com: Your previous CD, “Middlehope,” was largely standards. Was it always intended that “People Behave Like Ballads” would be all originals? Rebecca Martin: ”I’m a singer-songwriter. My background is not straight-ahead jazz. I’m a singer-songwriter who loves the challenge of interpreting songs. I enjoy beautiful songs. That’s the bottom line. The reason behind the standards record being made was that I was offered an opportunity to record with that label, Fresh Sound. Quite frankly, that deal wasn’t favorable in terms of my music and the publishing aspects of it, which is always a drag to have to be concerned about that stuff, but you have to be. You have to protect the music. JazzReview.com: What period did you write the 16 songs that are on the new CD? Rebecca Martin: “I started writing on my own around 1998. I had been co-writing before that with Jesse Harris, who I shared a band with called Once Blue. In 1998, the band disbanded, and I went off on my own. That’s when I started playing guitar and writing, so the body of work that I have, at this point it’s probably 60 or 70 songs, is the culmination of the last six years. JazzReview.com: You’re MAXJAZZ’s first singer-songwriter, correct? Rebecca Martin: “Pretty much. In my opinion, there are two others who are crossing the line. One is Claudia Acuna. Though tagged as a jazz singer, she’s been writing, too. It’s very lyrical and not so traditional, fusing music from her home in Chile and the New York jazz scene and her love of melody and lyrics. In a way, that might have started it. Then, there’s Erin Bode. To me, she’s much more of a singer-songwriter than a jazz singer, too. JazzReview.com: If someone asked you, how would you describe your music? JazzReview.com: The songs have a confessional quality to them. JazzReview.com: This is always a hard question, but is there a song on the CD that stands out for you? JazzReview.com: You’ve said that music should be a public service. What did you mean by that? JazzReview.com: Do you remember an early experience of listening to the radio or hearing a record and being moved? Rebecca Martin: “Two come to mind. The first one was Joni Mitchell’s ‘Court and Spark.’ I was probably between 10 and 12. Another record that did it to me was Rickie Lee Jones’ first record. That was really powerful. JazzReview.com: Why did Joni Mitchell resonate with you? JazzReview.com: You’ve been compared to Joni Mitchell, who not only has the singer-songwriter label but also a history in jazz. JazzReview.com: We have an idea of what you were listening to while growing up. Tell us more about what you were like as a child and how music fit in. JazzReview.com: One of the things that did a while back was perform at Lilith Fair. How was that experience? JazzReview.com: If you were putting on a show, who would you invite to be on it? Rebecca Martin: “I think there would be several configurations. The first one would be a lot of singer-songwriters that people need to know about, but don’t. People who are under the radar and doing the most innovative work in songwriting that I know of in New York. This would be a stage filled with people like Frank Tedesso, Larry John McNally, Dorothy Scott, Jane Kelly Williams, Timothy Hill, Alice Bierhorst. There would be more. JazzReview.com: You’re performing quite a bit now. JazzReview.com: What’s next for you? JazzReview.com: Is there anything else that you wanted to talk about? Click here for printer-friendly version of article. Get your CD in the SPOTLIGHT! Buy a JazzReview Hat or T-shirt and get a Free CD!